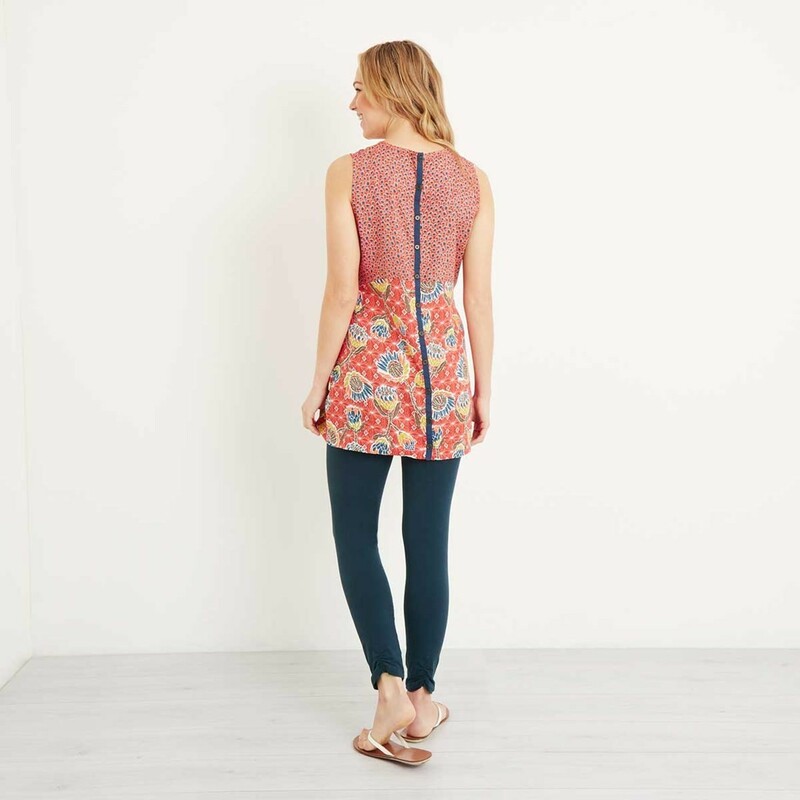 Wear the Sachi printed lightweight tunic, a great choice for work or play on the warmer days this season. 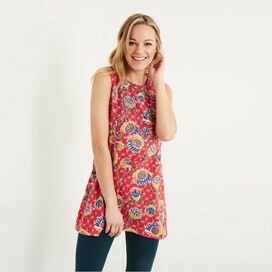 Sleeveless with a lightweight viscose fabric construction it will keep you cool and composed and looking great when the temperatures climb. The Sachi is bound to catch the eye, featuring our latest print designs which are unique to Weird Fish. 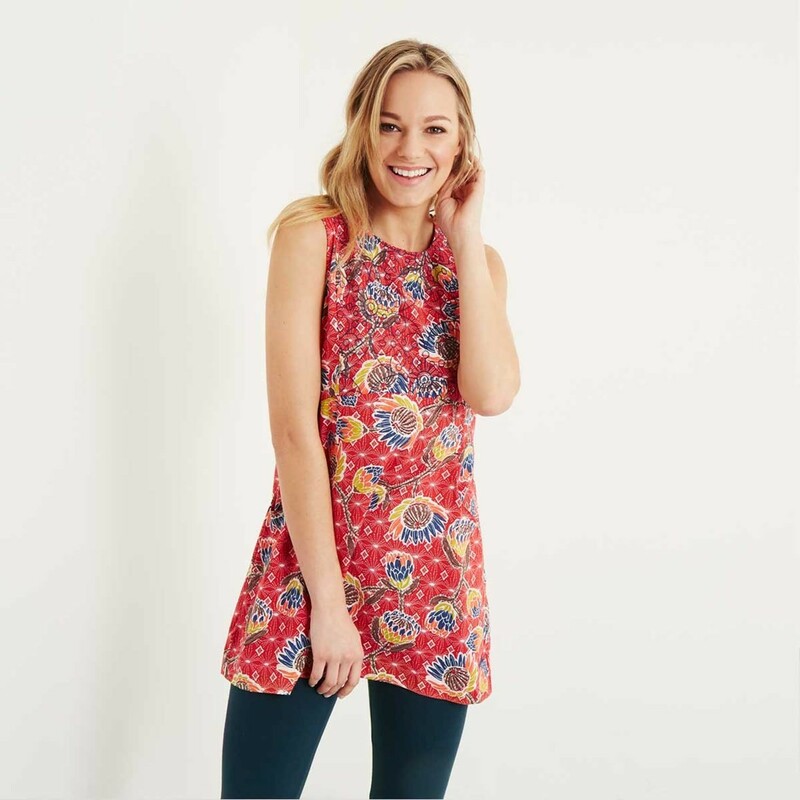 In Tango Red with a block floral print on the front and a geometric print panel on the back above the waist, it also includes a pretty embroidered pattern detail on the chest. 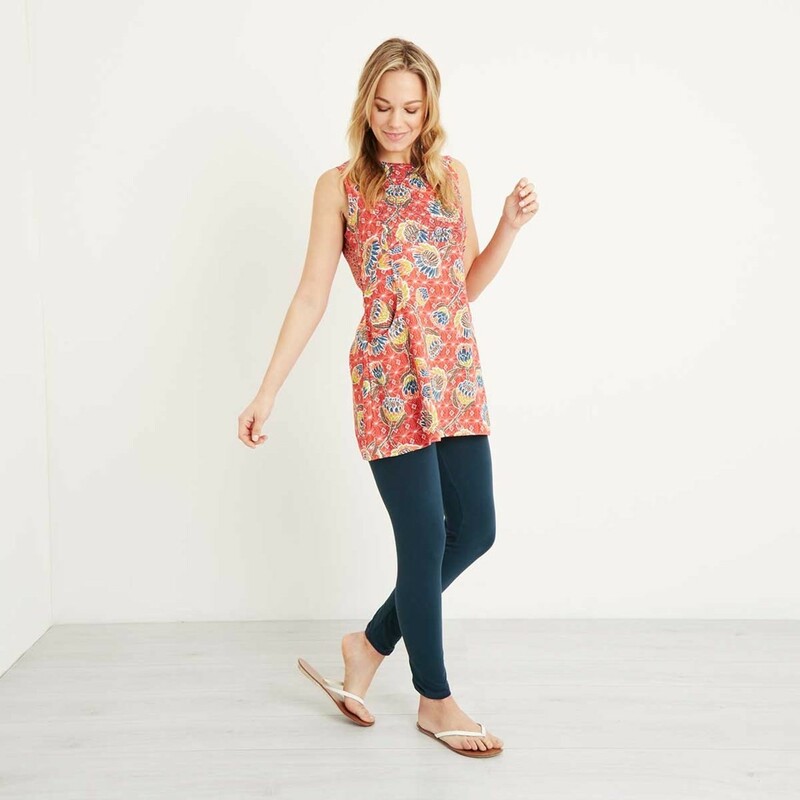 Lightweight and flattering, the Sachi will take you from work to weekend with ease. Very lightweight. Bought to wear at work during heatwave. Smart. Lovely embroidered detailing on the top section, overlaying the fabric design. I think it might have looked smarter and more flattering with the same design on the back as the front, instead of the darker panel at the back. I am 1.68m tall and it comes to my mid-thigh. 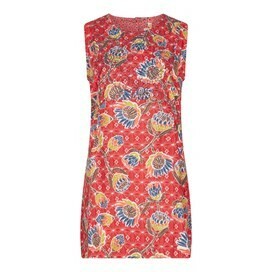 A little longer than expected - would be good to have a petite size available. Will keep as lovely pattern & fabric! Love this dress/tunic. I'm not so tall so makes a great summer dress. Got this tunic in 3 colour ways now. Love it.